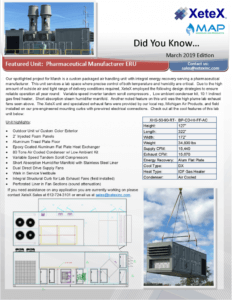 XeteX’s featured project for March is a custom packaged air handling unit with integral ERV serving a pharmaceutical manufacturer. The AHU services a lab space where temperature and humidity control are critical. 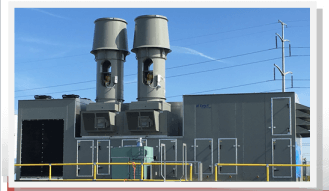 Check out the special features of this unit here and see what XeteX Inc. can provide for your next project!